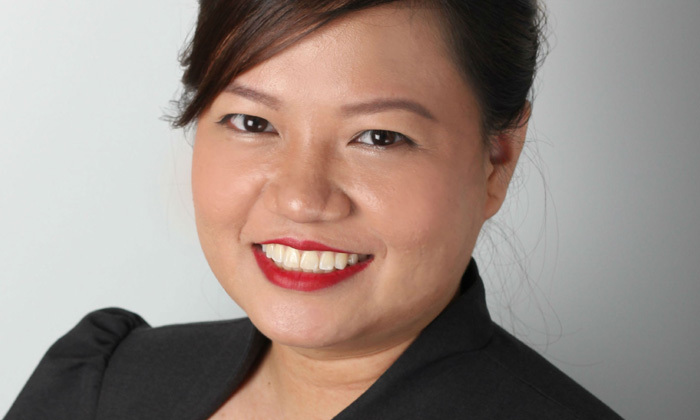 Hanizan Binte Sulong, practice manager and HR lead at Orchard Scotts Dental, explains how it invests in employees for growth and equips them with the right capabilities to cope with the ever-changing business. Greek philosopher Heraclitus once said that “change is the only constant in life”. This could not be more accurate today, where information can travel at the speed of light, and technology has made the world so much smaller than it used to be. As a result, companies need to become nimble enough to respond to the challenges that change can bring – be it evolving business needs or changing consumer expectations. While aesthetic dentistry continues to be a highly specialised sector, it has not been spared from these winds of change. We have been determined to ride these trends and continue to deliver for our patients by practising what we prescribe – as the Tony Bennett’s timeless rendition goes, “When you’re smiling, the whole world smiles with you”. Practices such as ours should invest in grooming employees and equipping them with the capability to cope with these ever-changing demands. In fact, this is especially critical for SMEs, where the immediate success of the business lies in the hands of their employees. However, blindly subscribing to training and employee development programmes will not help the business run faster. Neither will it answer the core challenge of translating training into actual practice, nor motivate employees to live out the company’s vision and mission. Instead, the answer lies in evoking a genuine culture of continuous learning among the employees of the company, and using these learning and development programmes as a tool to help the organisation stay ahead of the curve. According to research by Deloitte, the top concern for hiring managers and employers this year lies in retaining, engaging and attracting talent. As companies look to improve structural and process efficiencies and reducing costs, employees are constantly pushed to do more and perform better. However, employees – especially millennials – prioritise career growth and personal development instead, seeking out work that is meaningful, rewarding and enjoyable. Employees also have limitless access to opportunities right at their fingertips, thanks to technology, and significantly higher control and power in the hiring process. To tip the scale in their favour, organisations need to consider the work environment in a holistic manner, involving everything from employee benefits to the corporate vision, recognition programmes, and career development, and seek to engage employees by crafting a truly rewarding and exciting experience. Blindly subscribing to training and employee development programmes will not help the business run faster. Talent development programmes should also consider employee growth in both technical and personal aspects. This is especially true in the face of increasing expectations from customers and end-users – for employees to not only have quicker response time, but also to be an expert in their subject field. By equipping employees with the technical know-how and aptitude to manage their work effectively and efficiently, companies can bolster the level of confidence their employees have, thereby creating happy and motivated employees that will be more likely to take an active interest in the growth of the company and go above and beyond the call of duty, leading to better performance and rate of talent retention. Orchard Scotts Dental was recently appointed an Invisalign Dedicated Clinic. While we regard this status as a rare honour, we are also proud that accolades like these reflect well on how we’ve been able to deliver on our practice’s brand experience. And while we continue to receive such recognition by the broader public, we found it was paramount to cultivate an environment for our employees to live our brand through continuous learning. The first step towards building an environment conducive for continuous learning is gaining the support of upper management. Business leaders need to understand and appreciate the importance of continuous learning, and should be seen investing time, effort and resources in these programmes themselves. This means incorporating continuous learning into the company’s corporate culture, and perhaps even choosing to take the whole day off to provide employees time to pick up new skills or get comfortable with new processes and procedures. One of the common challenges enterprises face is motivating employees to actively take part in training and development programmes. While one answer to this problem could be choosing to hire people who are inherently interested in seeking new ways to learn and grow, employers also need to recognise that different people are driven by different sets of motivations. Understanding what drives them and where their needs lie would be a huge step towards building a vibrant and harmonious workplace that constantly seeks to learn and grow. Talent development should include programmes for both professional and personal development. These could range from technical courses that help employees become more effective at work, to personal development courses that helps them gain a better understanding of themselves. At the end of the day, our employees are the ones who help us build the business and deliver on our brand experience. By building an effective and robust team that walks the talk, business leaders have the reassurance that operations will run smoothly without needing a million rules and procedures in place, and instead they can focus on moving the company as a whole towards a shared goal and vision, and taking the business to greater heights. 50% of applicants are frustrated by poor communication during the hiring process. What can you do to improve this?..